Technically, figs are not a fruit but inverted flowers. They belong to the mulberry family and come in different colors – purple, yellow, black, red, and green. They have smooth skin, tender flesh, and crunchy seeds. The flowers bloom inside the pod, which then matures into the fruit that we enjoy eating. Its hard, crunchy shell is called achene. One interesting fact about figs is that it is made of multiple achenes, so when you eat one, you’re actually munching on multiple fruits. These deliciously sweet fruits have been around for centuries and it’s so easy to see why: They’re tasty and good for the body. These can cure the body from certain types of diseases because they’re rich in minerals, phytonutrients, and antioxidants. Figs are rich in potassium, which helps control the heart rate and blood pressure. People suffering from hypertension can benefit a lot by including figs in their diets. The soluble fiber present can help prevent cholesterol problems. The leaves contain nutrients that help lower triglyceride levels, which staves off strokes and heart attacks. Phenol, omega-3 and omega-6 fatty acids also help minimize the risks for coronary diseases. They also function as natural laxatives, so those suffering from constipation need to eat these. Figs are also effective in treating irritable bowel movement. Because they’re packed with antioxidants, figs can help prevent cancer. The leaves are known to stop the growth of cancer cells while the antioxidants get rid of free radicals and other toxins that can cause cancer. 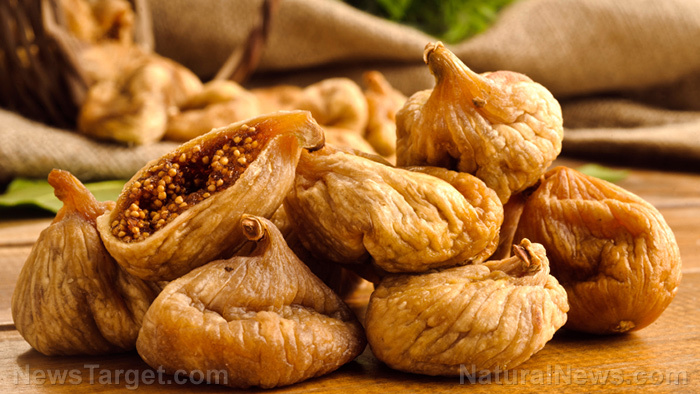 Women may also reduce the risk of breast cancer after menopause with the help of figs. 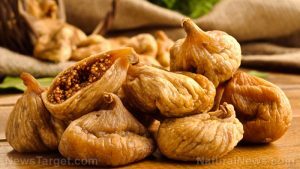 One study that involved more than 50,000 postmenopausal women showed that consuming fruits like figs, which are high in fiber reduced their risk for breast cancer by 34 percent. Additionally, fig leaves possess anti-diabetic properties. They help lower insulin levels and regulate the amount of sugar absorbed by the body after meals. According to data published in the Archives of Ophthalmology eating three or more servings of fruits like figs every day (to get carotenoids and vitamins A, C, and E) can lower the risk of macular degeneration. The study evaluated the effects of fruit and vegetable consumption in the participants and found that fruit consumption helped protect the eyes from early age-related macular degeneration (ARMD) and neovascular ARMD, which is a more severe case. Figs are also known to help cure and/or provide relief from other conditions like warts, dysentery, sore throat, gastritis, bronchitis, toothaches, dry cough, stomach ulcers, gingivitis, and dyspepsia. The heart can benefit a lot from figs because they contain essential minerals, vitamins, and fiber necessary to promote heart health. Phenols, omega-3 and omega-6 fatty acids also help prevent coronary heart diseases. Fiber-rich figs are also good for the digestive system. They are highly recommended for those suffering from obesity as they can aid in weight loss. Figs can also prevent constipation and promote healthy bowel function, which reduces the risk for colon cancer. The fig leaves contain natural chemicals that are beneficial for people with respiratory problems like bronchitis and asthma. You can also use these topically to treat venereal diseases. The calcium content of figs are great for promoting healthy bones and reducing the risk for osteoporosis. Phosphorus helps stimulate bone formation. You can also prevent calcium loss from urine. The potassium content regulates waste removal through urine and makes sure that you only excrete harmful toxins and not this important mineral. There’s so much you can do with figs. If you’re used to consuming them as is, why don’t you explore other options, like wrapping them with bacon or stuffing them with cheese? Broil them, use them on salads, or even in syrup. Check out these cool fig recipes. Figs are helpful in providing relief from sore throat, dry cough, stomach ulcers, and warts. Figs can prevent breast and colon cancers. Figs can stave off diabetes. Figs can prevent constipation, irritable bowel movement, and promote a healthy digestive system. Figs reduces the risk for coronary heart diseases.